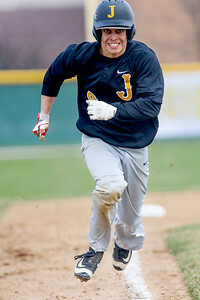 Sarah Nader- snader@shawmedia.com Jacobs' Steve Krueger runs to third during Saturday's game against Metamora at Jacobs High School March 26, 2016. Jacobs won, 4-0. 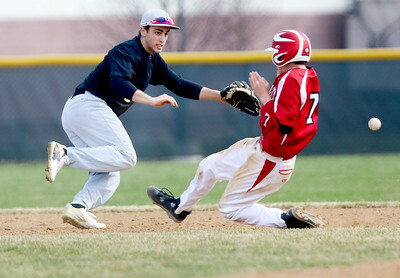 Sarah Nader- snader@shawmedia.com Jacobs' Casey Dennison (left) catches the pass while Metamora's Tyler Guerrero safely slides back to first during Saturday's game at Jacobs High School March 26, 2016. Jacobs won, 4-0. 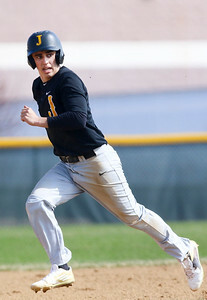 Sarah Nader- snader@shawmedia.com Jacobs' Mike Addante runs home during Saturday's game against Metamora at Jacobs High School March 26, 2016. Jacobs won, 4-0. 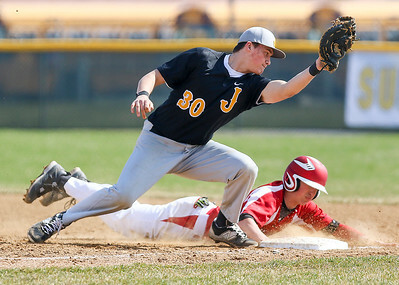 Sarah Nader- snader@shawmedia.com Jacobs' Steve Krueger (left) waits for the ball while Metamora's Tyler Guerrero safely slides to second during Saturday's game at Jacobs High School March 26, 2016. Jacobs won, 4-0. Sarah Nader- snader@shawmedia.com Jacobs' Casey Dennison celebrates the teams win at Saturday's game against Metamora at Jacobs High School March 26, 2016. Jacobs won, 4-0. Sarah Nader- snader@shawmedia.com Jacobs' Evan Liebau pitches during Saturday's game against Metamora at Jacobs High School March 26, 2016. Jacobs won, 4-0. 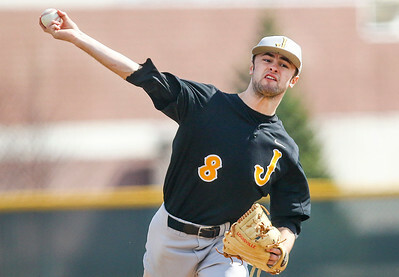 Jacobs' Evan Liebau pitches during Saturday's game against Metamora at Jacobs High School March 26, 2016. 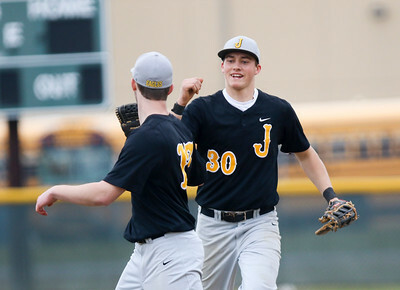 Jacobs won, 4-0.